Celebrate! 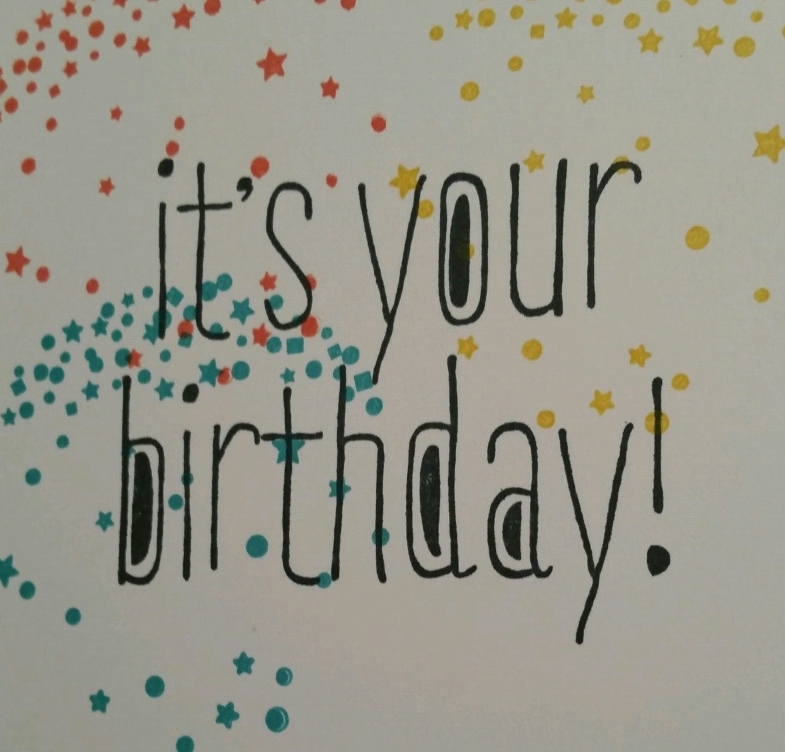 … it’s your Birthday! Maybe it’s not YOUR birthday … but it must be SOMEONE’S birthday! We made this card in club last week. It is a pretty simple card to put together. The Bermuda Bay card base is layered with a piece of Designer Paper from the Birthday Bash DSP. 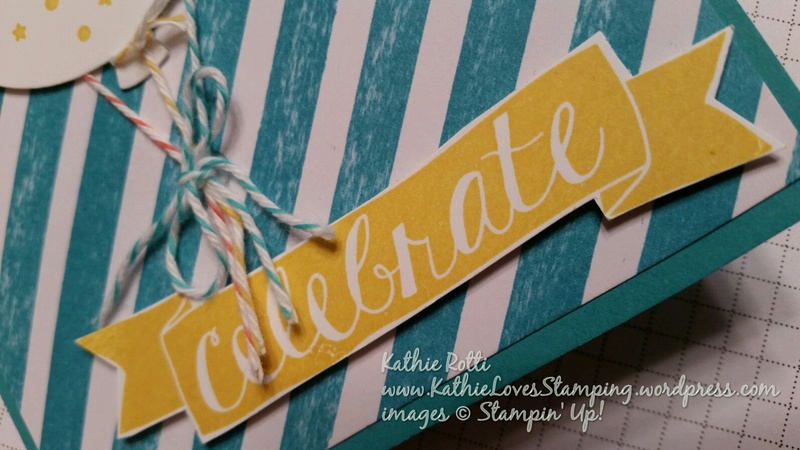 The “celebrate” is stamped in Crushed Curry with a stamp from Balloon Bash, cut out and popped on dimensionals. I used the Celebrate Today stamp set to stamp the stars (Bermuda Bay, Crushed Curry and Calypso Coral) onto Whisper White cardstock. I then took out my Big Shot and Balloon Framelit Die to cut the 3 balloons. I tied bakers twine onto the balloons … I have a secret … shhh … only the top balloon has a piece of twine TIED to it … a bit of adhesive holds the twine to the other balloons … why take the time to tie a knot if it’s not going to show?????? 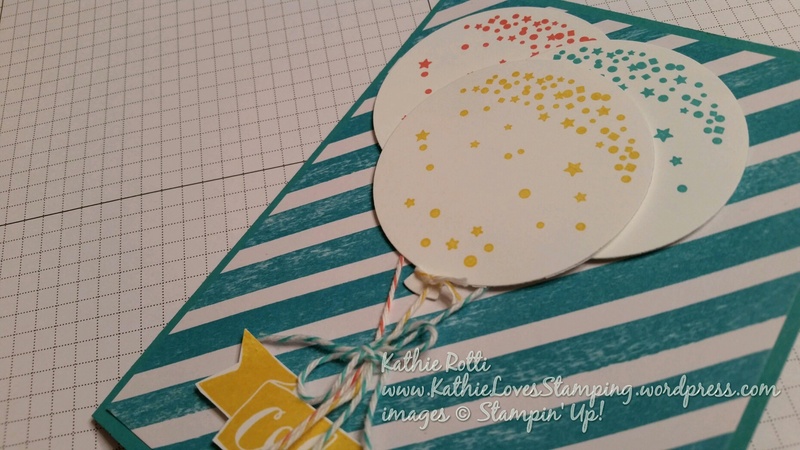 The bottom balloon is attached with snail adhesive … the others are on Stampin’ dimensionals. Gather those strings together, tie a bow around them and use a glue dot to adhere the bow in place. The Big News stamp set had the inside sentiment I wanted to use. 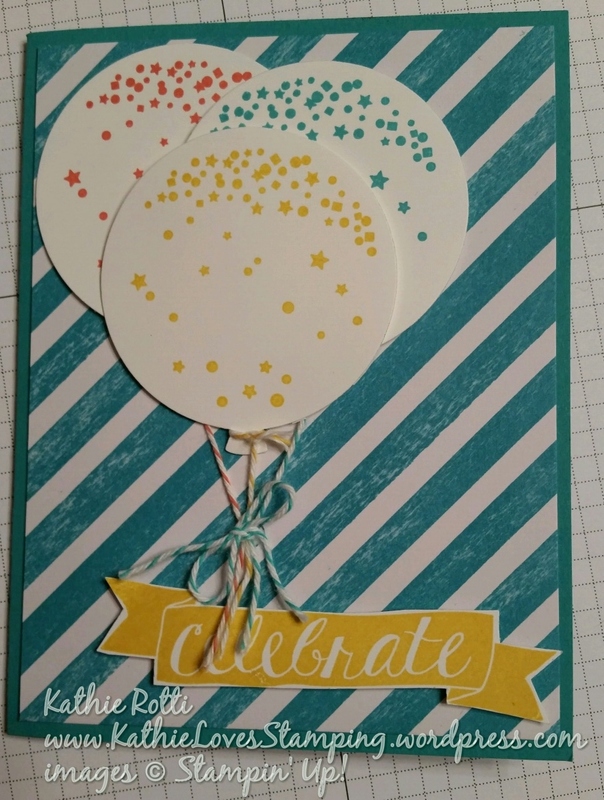 I added some balloon stars to carry over from the card front and stamped “it’s your birthday” with Memento Black. I hope you enjoyed this festive card! Thank you for taking the time to read my blog. And the supplies I used are ….. You can purchase anything you need in my online store.